Cranberry Cream Pie is tart and fruity with a buttery gluten-free biscuit crust, topped with whipped cream clouds. I have to be honest that the main reason I made this Cranberry Cream Pie was because I wanted some colour. Our house has a tendency to be a bit brown. There is original stripped wood everywhere; floors, doors, skirting, shutters, my bakers rack and our dining table. And that is just our living area. It definitely has a cosy relaxed feel (and by relaxed I mean messy) but it does crave colour. I love this time of year when the bright red and plush burgundy tones really ramp up the warm snug vibe we’ve got going on. And sometimes I need that colour to not just be present in the cushions, candles or Christmas decorations but in our glorious Christmas feast. It helps that Cranberry Cream Pie is not only the most stunning deep magenta but is also utterly delicious. 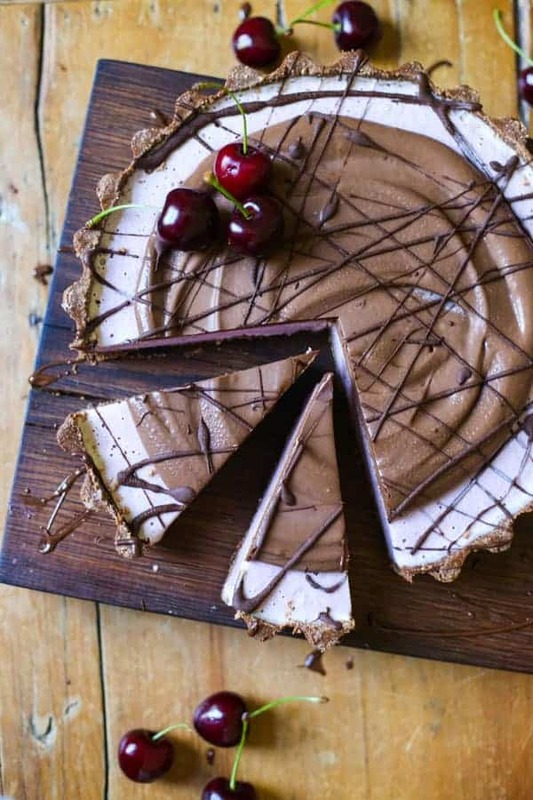 This pie has it all, the looks and the personality. Zingy, creamy and crunchy. Cranberry Cream Pie has a thick biscuit crust, made from my favourite gluten-free oat biscuits and plenty of melted butter. The filling is so easy to pull together. just fruity fresh cranberries pureed and mixed with condensed milk, a spritz of lemon juice and egg yolks. It’s really just a wobbly cranberry custard. I used whipping cream to adorn this lovely pie as it’s a bit lighter than double cream and dissolves beautifully in your mouth. Of course use double cream or heavy cream if that’s all you can find. Whipping cream doesn’t see as prevalent as it once was. I really like the idea of serving Cranberry Cream Pie on Christmas Eve this year alongside our Christmas Glazed Ham. The beautiful colours of the Christmas table lit by candlelight, with a vibrant taste to match, sounds incredibly appealing. If you make this Cranberry Cream Pie then please leave a comment below and/or give the recipe a rating. If you then go on to use this recipe as a launch pad for your own kitchen creation then I’d also love it if you’d share it and tag me on instagram. It is so lovely for me to see your creations and variations of my recipes. Pre-heat the oven to 170°C/ 150°C fan/gas mark 3. Place the cranberries in a medium sized saucepan with the water and cook on a low heat for about 15 minutes, stirring occasionally until the cranberries have broken down. Blend the cranberries until they are smooth then set aside in the fridge to cool completely. Whizz up the biscuits in a food processor then with the mixer still on pour in the melted butter until it combines with the biscuit to become a thick sandy texture. Press the biscuit crust into a 23cm pie dish using the back of a spoon and push the base up the sides of the dish. Bake the crust for 18 minutes then remove from the oven. Gently re-press and shape the biscuit crust which might have puffed up a bit and then leave to cool in the fridge to set whilst you make the filling. Turn the oven down to 160°C/140°C fan/gas mark 1. Mix the cranberries, lemon juice, egg yolks and condensed milk in a large mixing bowl. Pour the cranberry filling into pie shell, smoothing out the top. Bake the pie for 25 minutes, the cranberry filling should still be a little wobbly. Leave to cool and set in the fridge overnight. Whip the cream until thick and it can hold its shape then pipe over the top of the pie. *my favourite oat biscuits to use at the moment are Nairn's Oats & Syrup Biscuit Breaks. They are too yummy! as it’s extremely affordable and straightforward to use. 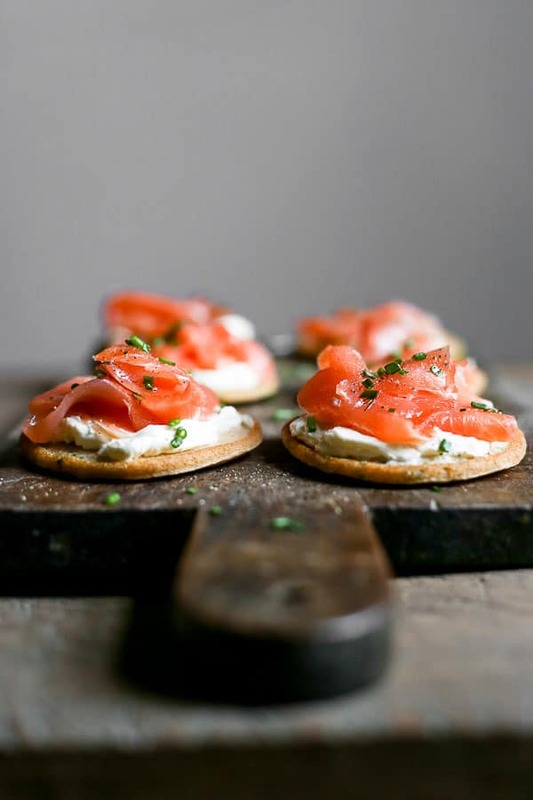 If you like this recipe then you may also like..
Smoked Salmon on Potato Pancakes with Whipped Cream Cheese is the perfect appetiser or canapé when you are entertaining. 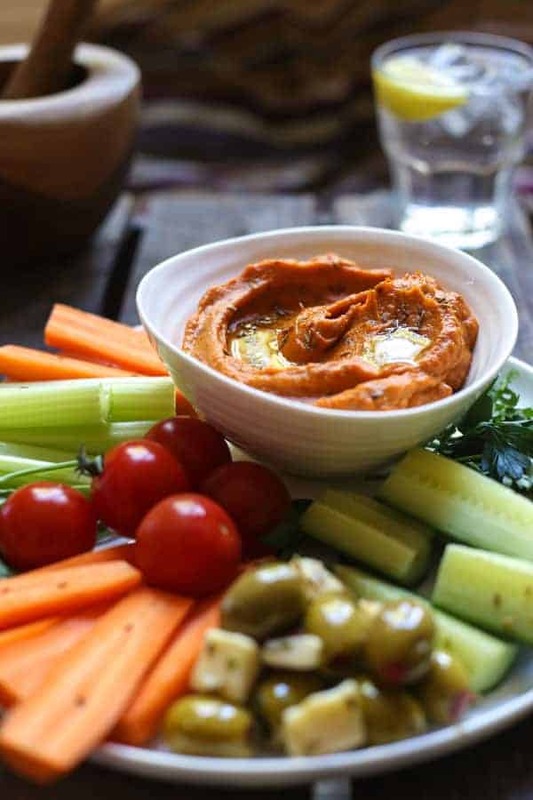 Naturally gluten-free, very easy to prepare and always impressive. When we were young our whole family would gather at my aunt’s house on Christmas morning for a quick hello, present exchange and glass of Buck’s Fizz. There would be a crowd of us of every age range, greeting grannies, clutching presents and dressed in our Christmas finery. Plates of small squares of brown bread, barely buttered, and adorned with wafer thin slices of lemony smoked salmon would make their way across the room, swiped by eager fingers. 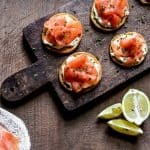 This is how I first experienced smoked salmon and is the measure of any Christmas canapé I’ve had since, made even more delicious by the rose tinted nostalgia. So every Christmas I also serve smoked salmon to my small gathering. I don’t eat the brown bread anymore but have replaced it with the most light and fluffy potato pancakes. Naturally gluten-free, made with mashed potato, potato flour and eggs. They are incredibly easy to whip up on Christmas morning but you can also make them a couple of days in advance and just warm them up in the oven to refresh them. Although do serve them at room temperature as you don’t want the cream cheese to melt. Speaking of cream cheese, I feel it’s an utterly necessary accompaniment to my smoked salmon these days. 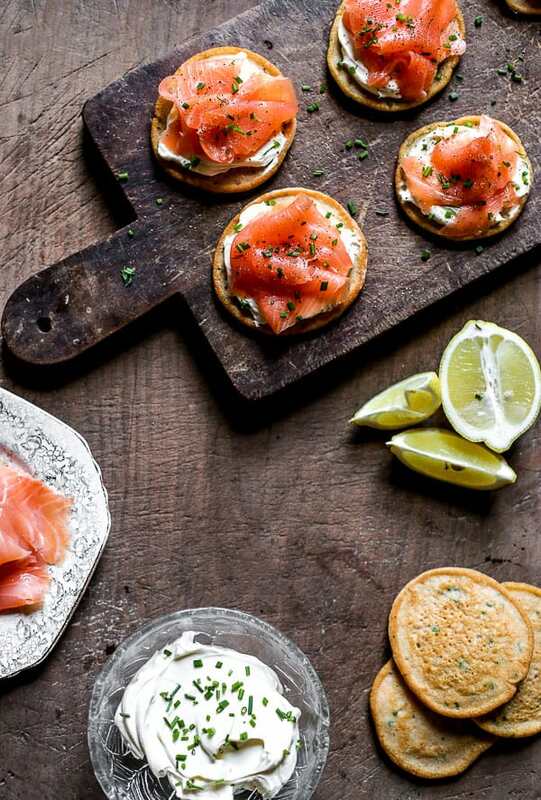 Whipped up with crème fraiche, a spritz of fresh lemon and slathered thickly onto the pancakes, it’s the ideal cool backdrop to the delicate salmon. However, instead of the restrained slice of smoked salmon we used to have on our bread years ago, I like to pile these potato pancakes high so they look beautifully impressive. One or two of these pancakes per person will be plenty. 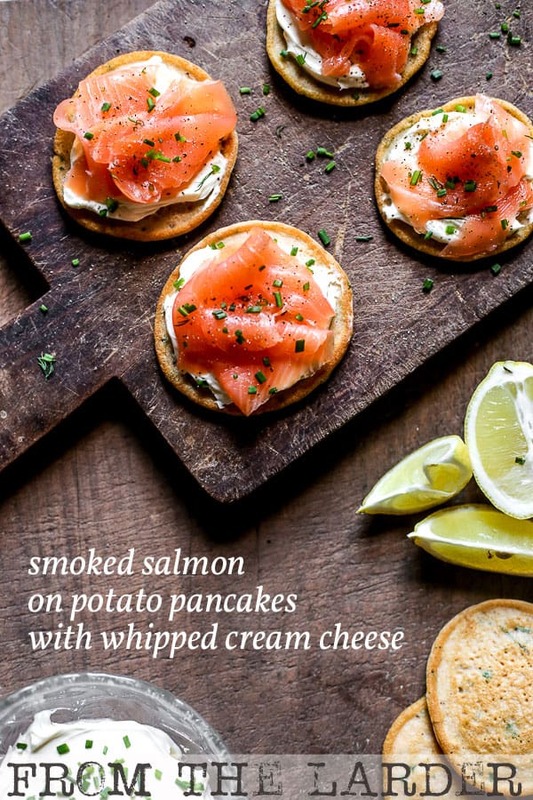 If you make this Smoked Salmon on Potato Pancakes with Whipped Cream Cheese then please leave a comment below and/or give the recipe a rating. If you then go on to use this recipe as a launch pad for your own kitchen creation then I’d also love it if you’d share it and tag me on instagram. It is so lovely for me to see your creations and variations of my recipes. Place the peeled potatoes in a large saucepan of salted water and bring up to a boil. Turn down to simmer for 12-15 minutes until the potatoes are quite soft. Remove from the heat and drain. Mash the potatoes with a pinch of salt and place in the fridge to chill for at least an hour. Mix the cooled mashed potato in a large bowl with the eggs, egg whites, potato flour, chives and salt and pepper and beat together with a wooden spoon until smooth. Place a cast iron pan or large griddle on a low heat and melt the ghee or butter. Drop a heaped dessert spoon of the potato batter into the pan, smoothing out a little so it makes an even circle. You should be able to fit four of these potato pancakes in the pan, depending on its size. Cook the pancakes for 3-4 minutes on the first side, then flip and cook for another couple of minutes on the second. Remove the pancakes from the pan and pat dry with kitchen paper to remove the excess butter. Cook the rest of the pancakes in batches until all the batter has been used up. Set the pancakes to one side whilst you prepare the whipped cream cheese. Beat together the cream cheese, crème fraiche, lemon juice and salt until light and creamy. Spoon the cream cheese onto each pancake, smoothing into a slight swirl, then pile high with smoked salmon. Garnish with snipped chives, a squeeze of lemon and plenty of cracked black pepper. Serve immediately. *I like to use ghee when shallow frying due to its high smoking point. Feel free to use butter but keep a close eye to make sure it doesn’t burn. ever since I completed my last Whole30. 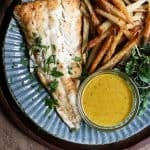 I fell in love with this ingredient for its lovely clean taste and also because it’s so good to fry with as it doesn’t burn like butter due to its high smoking point. Cheat’s Gluten-Free Christmas Cake is an easy cake to assemble last minute. 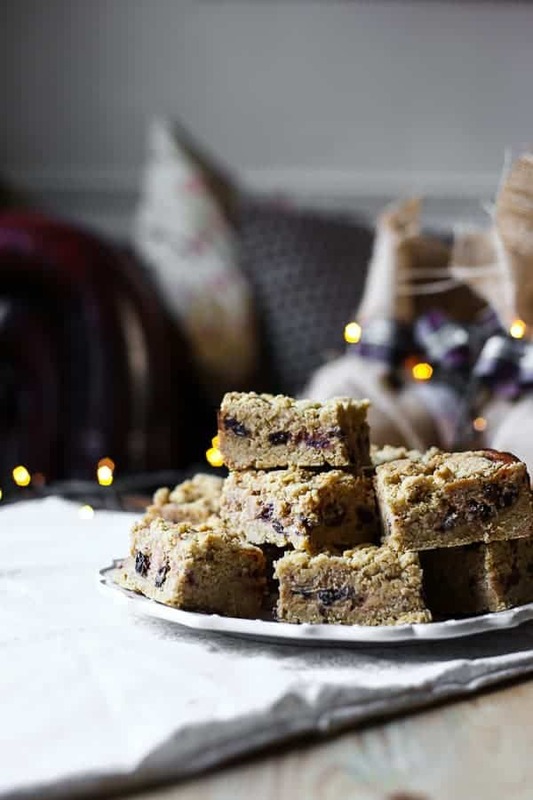 A lightly spiced almond sponge made incredibly festive by its secret ingredient – mincemeat. Drizzled with a quick tipsy Brandy Cream Icing. It’s not that I don’t like regular Christmas Cake. I’m happy to eat a boozy fruit cake any time of the year. However, I always feel that on top of the Christmas pudding and all the mince pies, a traditional Christmas cake can sometimes be a bit too much. 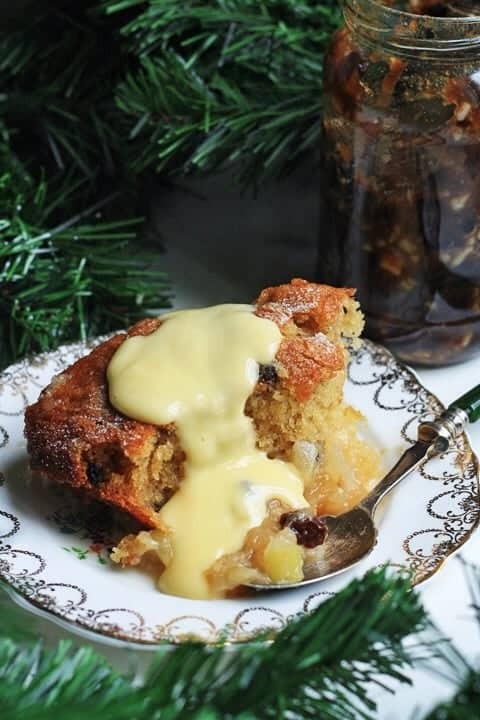 This Cheat’s Gluten-Free Christmas Cake is my favourite way to keep a Christmas cake in the mix whilst making it a little more accessible and not just something your great aunt is going to enjoy. Cheat’s Gluten-Free Christmas Cake still has all the right flavours going on so no one is going to feel hard done by. It’s festive with spices, brandy and plump fruits. But as it is primarily a sponge cake and not a fruit cake it’s so much lighter and a bit more modern. It’s also incredibly quick to assemble as we’re taking a bit of a shortcut to Christmas by using mincemeat. I will always advocate homemade mincemeat in any recipe where it is required as I think the shop bought stuff is pretty terrible. All sugar and no taste. The good news is that homemade mincemeat is really easy, hopefully you have already made yours otherwise this Cheat’s Gluten-Free Christmas Cake might be a slightly longer process than you initially believed. At a push, of course you can use the shop bought stuff, the cake will still be delicious. ” to be exact. You can use any blend but ideally without xanthan gum. By adding an equal amount of gluten-free plain flour and ground almonds we’re ensuring the sponge stays beautifully moist with plenty of fluffiness. The ground almonds add a lovely taste and if you grind your own almonds, which I did here, so it’s more like an almond meal, then the cake will have a pleasantly nubby texture that sits really nicely with the mincemeat. My mincemeat had chopped almonds in already so there is lots of nuttiness going on. The Brandy Cream Icing is gorgeously sweet, creamy and subtle with brandy. However, if you would rather make an icing without the booze then just omit the brandy and add in more milk and a teaspoon of vanilla extract. 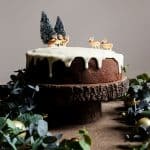 If you make this Cheat’s Gluten-Free Christmas Cake then please leave a comment below and/or give the recipe a rating. If you make the recipe or use it as a building block for another delicious creation, I’d also love it if you tag me on instagram. It is so lovely for me to see your creations and variations of my recipes. Pre-heat the oven to 180°C/160°C fan/gas 4. Line and grease a 9 inch round cake tin. Cream the sugar with the butter on a slow to medium speed for about 6 minutes until light and fluffy. Beat the eggs in one at a time, mixing well between additions. Whisk the flour with the almonds, baking powder and salt in a separate bowl then beat into the rest of the ingredients. Pour the batter into the cake tin, smoothing out the surface then bake for 1 hour or until an inserted toothpick comes out clean. Leave for about 5 minutes for the cake to settle then carefully remove from the tin and leave to cool on a wire rack before icing. Stir the icing sugar together with the double cream until smooth. Stir in the brandy one tablespoon at a time until the icing has reached a thick dropping consistency. Spoon over the top of the cake nudging it towards the edges so it drips down the sides. *I used a suet based mincemeat so there was a bit more fat in the mix. If you are using a non-suet mincemeat perhaps increase the butter by 20g. 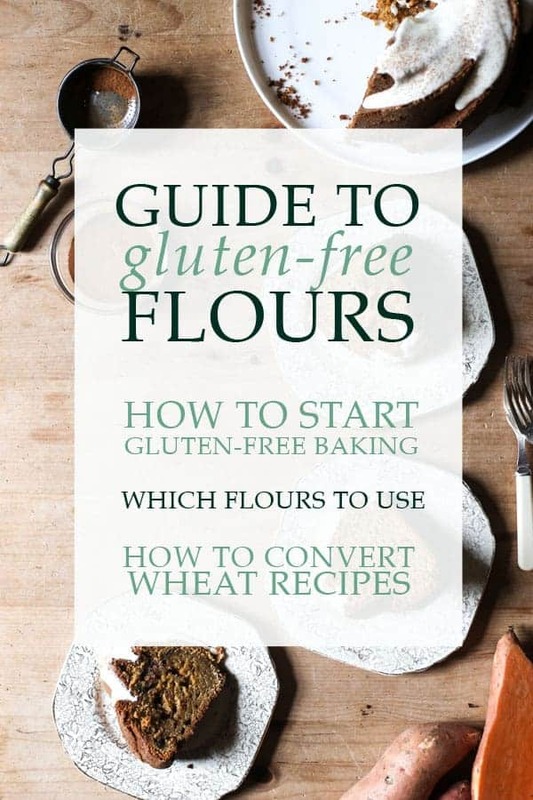 as it’s pretty much the only gluten-free flour that’s easily accessible for the home baker. For this cake it works really well in combination with ground almonds for a lovely moist cake. which is from my favourite range of cake tins. They are wonderful as they have completely straight sides so your cakes will be beautifully neat, the anodised aluminium means the heat disperses evenly throughout the cake without cooking the sides too quickly, which some darker cake tins do. The cakes slip out of the tins easily and they come in all the sizes you would need, I think I may almost have the whole set now. , don’t be put off that they are part of the Paul Hollywood range as they are actually really useful as they are nice and high which allow more air to get to your cakes to cool quickly. Some cooling racks are too close to the kitchen counter which traps in more moisture as the cakes are cooling down which could lead to a wetter sponge. These are great. 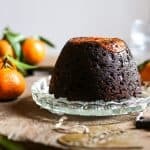 This Chocolate Chip Clementine Christmas Pudding with Cointreau Sauce is a delightful alternative take on the Christmas Pudding. Still rich with fruit and spices but imbued with velvety pools of chocolate and the sharp sweetness of clementines. I hate to break it to you but this weekend is the last Sunday before advent. There is no denying it any more, Christmas will soon be upon us and in no time we’ll be scrabbling around on Christmas Eve desperately trying to wrap up all the stocking presents, brine the turkey and wrestle the children into bed. Amid the present and meal prep chaos there is definitely one job you don’t want to be doing on Christmas Eve and that’s making a Christmas Pudding. Let’s face it if you haven’t made it by then it’s more than likely you’ll be swinging by Tesco before it closes hoping they haven’t sold out of all the gluten-free ones. There’s nothing like a homemade Christmas Pudding though. That’s why it’s best to get ahead and tradition decrees that the fifth sunday before Christmas is the ideal day for such a job. It’s Stir-Up Sunday people! Stir-Up Sunday harkens way back to Victorian times and gets its name from the opening of the book of common prayer which is read on the last Sunday before advent ‘Stir up, we beseech thee, O Lord, the wills of thy faithful people’ It seems that the Victorians took the bible at its word and it soon became tradition to stir up your Christmas Pudding on that day too. And with good reason, it’s such a good idea to get it out of the way early doors. After its initial steam a Christmas Pudding can sit quite happily for weeks or even months and even tastes better the longer you leave it. Christmas Pudding evokes such childhood nostalgia for me that a generous portion at Christmas is more than a delicious dessert, it’s like a transportation device to my past. I loved the Christmas Pudding our Auntie Lil always used to make us but I also have a fondness for the one we were served every year at school. Christmas time at our school was magical. The whole school would sit at tables in the main dining hall, an ancient and creaking cavernous room, all wooden beams and pillars with a balcony high above surrounding the room where the older years would sit. Just after the Christmas Pudding was served the lights would be turned off so we were in pitch darkness. The room would fall silent, all 700 children, and a beautiful choral echo would be heard faintly from outside. As the singing grew stronger, our choral society would hover into the room, shrouded in capes, holding candles and singing haunting Latin carols. The memory of Christmas Pudding drowning in brandy sauce still in our mouths. Perhaps if we were lucky a faint metallic taste might be on our tongues as well which meant that we had been one of the hallowed few to have found a penny wrapped in foil in our serving. To be treasured indeed. My recipe for Traditional Christmas Pudding is usually the one I turn to every year and although I will never tire of it I fancied a change. 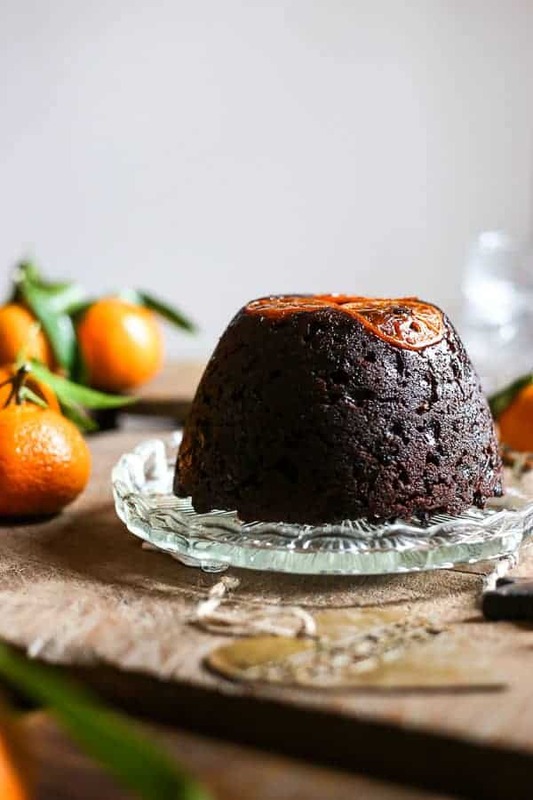 So this Christmas I will be making this Chocolate Chip Clementine Christmas Pudding with Cointreau Sauce and I could not be more excited to share it with my family, it’s utterly delicious. 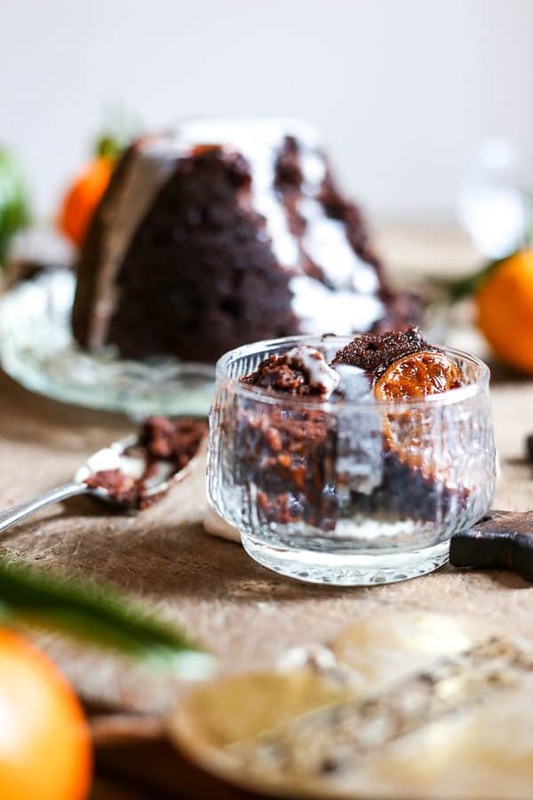 What I love about this recipe that even though this pudding is beautifully chocolately it is still most definitely Christmas Pudding and the flavours marry together so well. 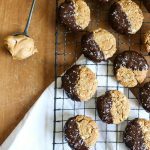 The teff flour, which is the gluten-free flour I chose for this recipe works so beautifully in support of the chocolate. 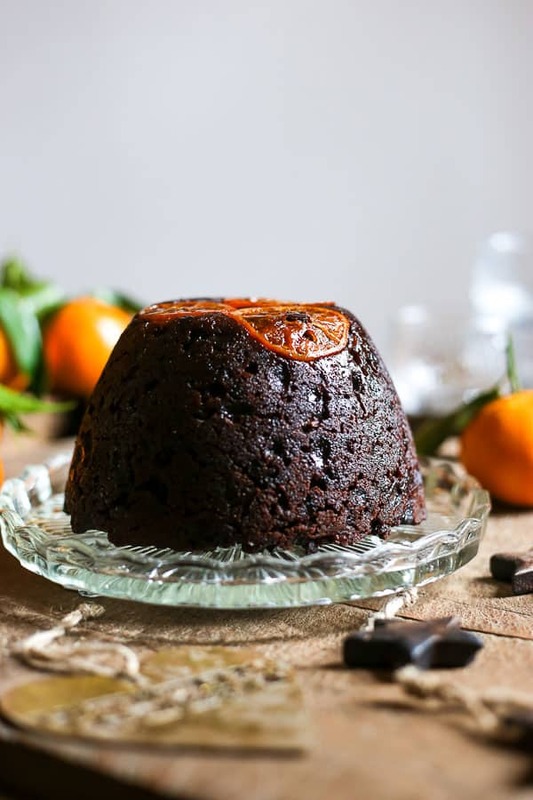 There is so much texture in this Chocolate Chip Clementine Christmas Pudding, the molton puddles of chocolate chips give the pudding a softness, the dried fruit give a lovely chew with a final nobbly crunch from the nuts. And despite all the rich flavours going on, this Christmas Pudding is lighter than you think, it’s not stodgy at all. As long as you don’t let it sit after it has finished steaming and serve straightaway. The Cointreau Sauce is a nod to the brandy sauce we were always served at school and actually I think this may be my favourite accompaniment to the pudding. It’s adapted from a Delia Smith recipe for her Brandy Sauce and it is light and simple. 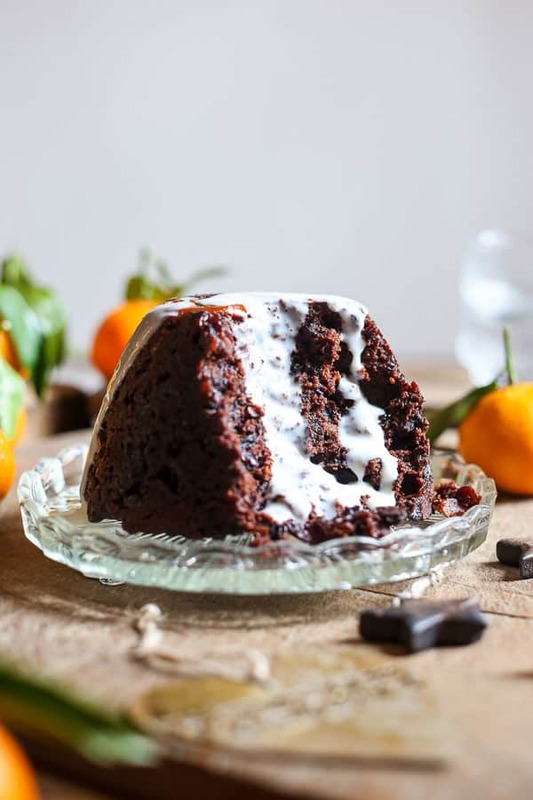 The gentle flavour of the Cointreau Sauce lets the pudding speak for itself whilst providing the much needed sauce and a spicy after kick of Cointreau. 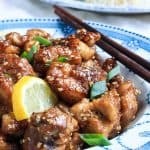 Also a little bit of advice on this recipe, I know we’re all about Stir-Up Sunday but since this recipe takes a couple of days to make you will probably want to start prepping on the Saturday. Stir-Up Saturday if you will. This means you can do the final bit of work and the big steam on the Sunday rather than the job bleeding into your working week. 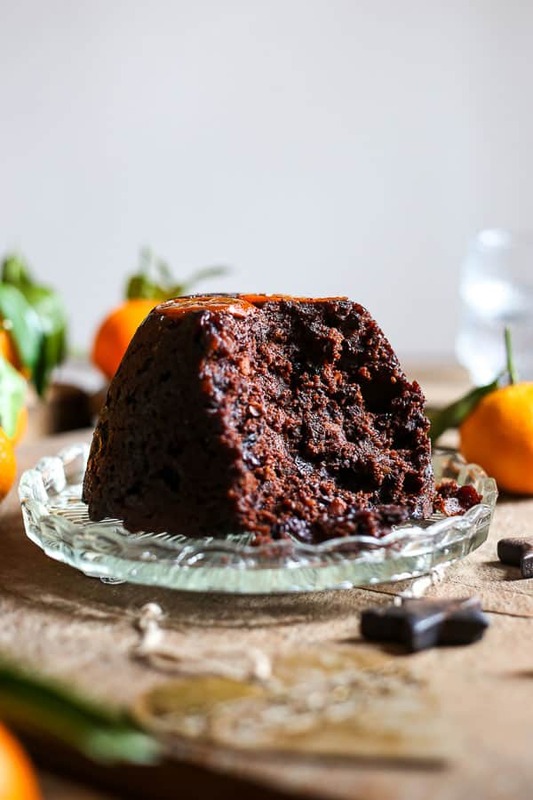 If you do fancy ringing in the changes with your Christmas pudding this year then I urge you to give this Chocolate Chip Clementine Christmas Pudding with Cointreau Sauce a go, and if you do then please leave a comment below and/or give the recipe a rating. If you use this recipe as a jumping off point for your own twist on the Christmas pud then I’d also love it if you’d share your version and tag me on instagram. It is so lovely for me to see your creations and variations of my recipes. Mix everything from the Day 1 list of ingredients together in a large mixing bowl. Cover with cling film and leave to marinate overnight. Add the rest of the ingredients from Day 2 and stir together really well. Butter a pudding basin, and slice the extra clementine, tucking the slices into the bottom of the basin. Fill the pudding basin with the pudding mixture then prepare the basin for the steam. Take a piece of greaseproof paper and lie a piece of foil on top, make a fold in the centre of both pieces which allows for more room for the steam to rise. Place these over the top of the pudding basin, with the foil on top, securing with string around the pudding. Trim off any excess paper and foil, you don't want them to hanging too low as otherwise they will soak up the water during the steam. Place a wire rack (or a folded up tea towel) into a large lidded pot, deep enough to cover the pudding. Then place the pudding on top of the rack. Fill the pot up with boiling water until halfway up the pudding. The water should not touch the greaseproof paper or foil otherwise they will soak it up and the pudding will go soggy. Place the lid on the pot and turn the heat on so the water is kept at a simmer. Steam for four hours, checking the water level occasionally and topping up if necessary. Remove the pudding from its pot then leave to cool. Once cool re-wrap the pudding in fresh greaseproof paper and foil and store in a cool dark place until Christmas Day. On Christmas Day the puddings will need a final steam before serving so repeat steps 6 and 7. However your pudding will only need two hours this time. Turn your pudding out onto a plate and serve with the Cointreau sauce. Melt the butter in a large saucepan then add the sweet rice flour. Pour in the milk gradually and bring the sauce up to a gentle boil. Add the sugar and continue cooking for about 10 minutes. Pour in the cream and bring the sauce to a low simmer. Finally turn off heat and add the Cointreau. 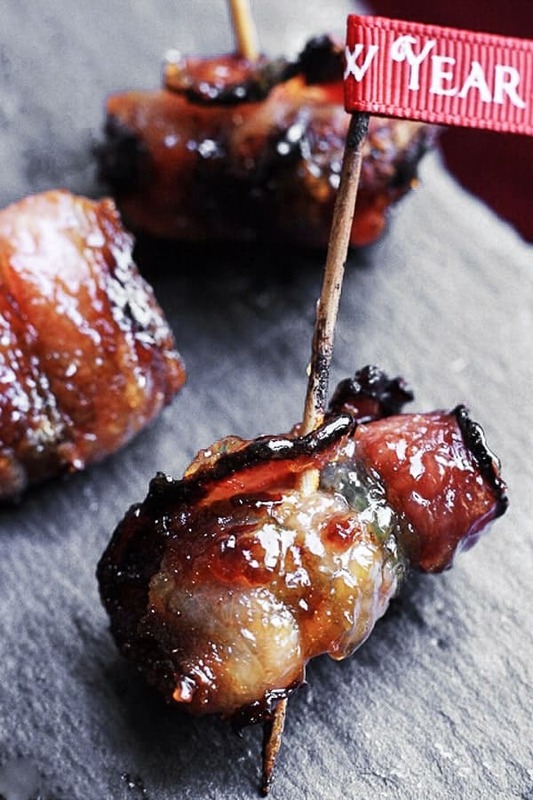 Serve hot with the Christmas pudding. *It’s just not possible to buy gluten-free pre-packaged suet so do speak to your local butcher about obtaining fresh suet. It will come in a solid block which you will need to grate with a bit of gluten-free flour so that it can evenly disperse throughout the mincemeat. in all my chocolate recipes. It comes in a big old bag but if you bake a lot then these chocolate pellets are simply delicious and so good to bake with.
. It has a lovely taste and soft texture. which I use for all my steamed puddings, it’s so beautiful and sturdy and is about to really come into its own as I make my Christmas Pudding in the next couple of weeks. 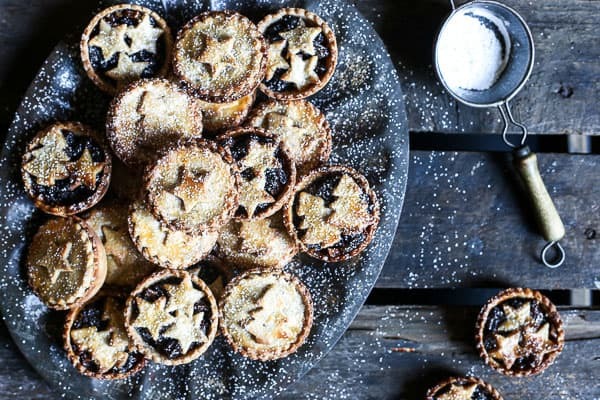 These simple Gluten-Free Mince Pies are made with the most flavourful sorghum and almond flour pastry and filled with Easy Homemade Mincemeat. 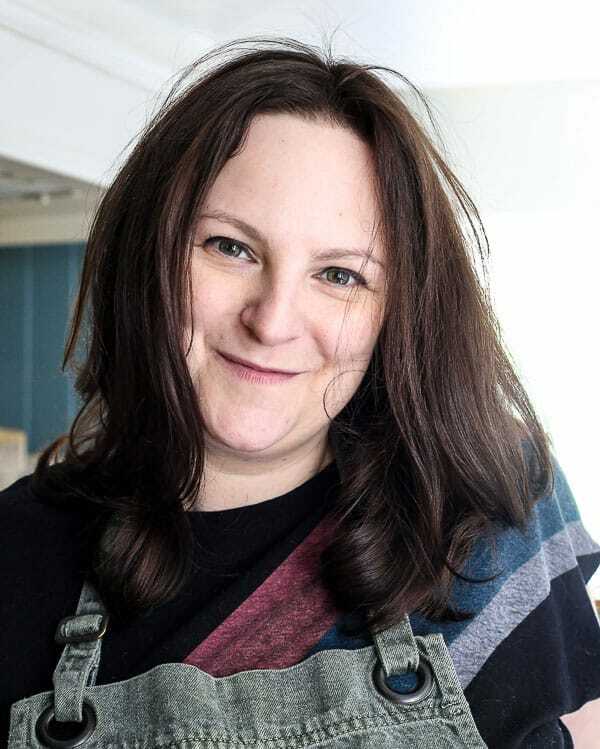 I waxed lyrical earlier on in the week regarding my love affair with mincemeat and all the different and festive ways you can incorporate this treasure into your baking. However, it may not have gone unnoticed that I haven’t actually posted any actual mince pie recipes on the blog. Like ever. Until now. To be honest most of the drama regarding making your own mince pies is around the mincemeat and once you have that under your belt then you just need to encase it in pastry. Yes, there are many routes you can go down with your mince pies, open topped, double-crusted, frangipane, brandy butter topped, orange icing. The list is endless. But there is plenty of time to get into all of that once you have mastered the pastry itself. Since I’m a gluten-free blog then I am all about the gluten-free pastry and I’ve been saving this glorious homemade gluten-free pastry recipe until exactly the right time. 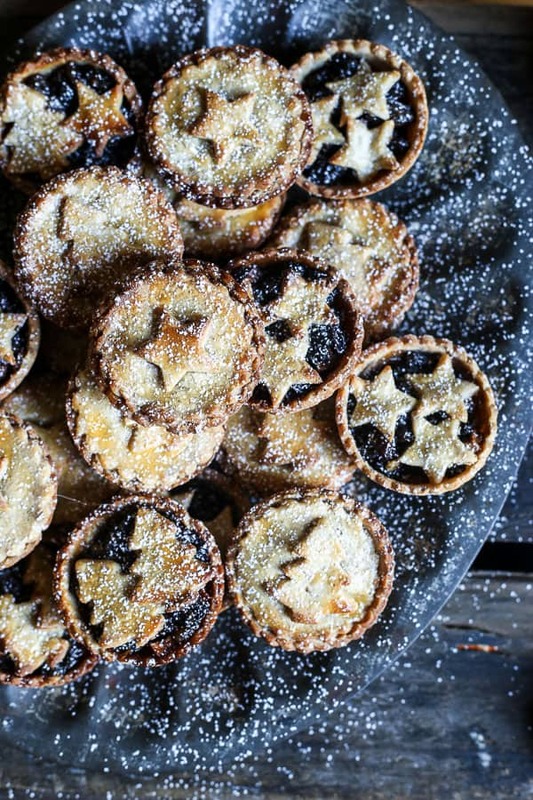 In my mind there is no better time than mince pie season (aka Christmas)! This gluten-free pastry is actually just as easy to make as regular wheat pastry. The only difference is that it is slightly more fragile to handle so may need a little more care when rolling out. It also requires a couple of minutes extra to blend together your gluten-free flour mix so you can ensure your pastry has the right bind, flakiness and snap. I can’t deny that this gluten-free pastry tastes absolutely incredible. I tested the recipe by making some plain pastry shells and they were so moreish, like tasty little biscuits. As in most of my gluten-free recipes the alternative flours pack in so much flavour. This pastry is more than just a vessel for holding your mincemeat, it has its own character and flavour profile to enhance your mince pies. The majority flour used in this gluten-free pastry recipe is sweet rice flour which is needed to bind the ingredients together and add elasticity to the mix so that the pastry can be rolled out with ease. It has a near neutral taste so its role is mostly function. The flavour of the pastry can be sourced via the other two flours in the mix, sorghum and almond flour. The sorghum flour is incredibly tasty, think wholewheat flour, earthy and wholesome. 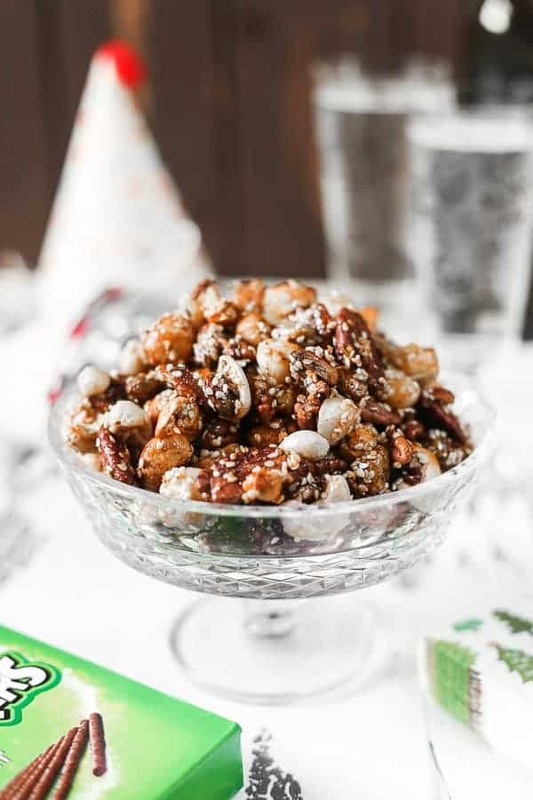 The almond flour adds a mild nutty sweetness and both of these are a great match for the rich mincemeat. The fourth ingredient in the flour blend is ground flaxseeds which helps to further bind the pastry and also adds a nice bit of texture. Once these four ingredients are whisked together then you can pretty much continue the same way you would as regular pastry. I use the butter cold from the fridge, sliced as thinly as possible then rubbed with the flours to make rough shreds and add flakiness to your dough. Caster sugar is added for sweetness. Then 2 eggs and an extra yolk for richness. Bring your dough quickly together, with maybe a little ice cold milk if more liquid is needed to make the pastry cohesive. Then wrap your ball of pastry in cling film and keep in the fridge until needed. The pastry can keep up to 3 days, just bring it out 30 minutes to 1 hour (depending on how warm your kitchen is) before you would like to roll it out. I have several mince pie tins but typically they have all been put into storage along with a bunch of my baking gear whilst we’re umming and ahhing about moving house. I had a mini meltdown when I realised this, which was obviously after I had cut out all my pastry rounds and the oven had been pre-heated and I was basically ready to go. However it turns out that a 12 hole regular muffin tin makes the perfect sized four-bite mince pies just as well. Your pastry rounds will only go halfway up the tin but this works out just fine. So you mustn’t despair if you don’t have a special tin for your gluten-free mince pies. I filled my Gluten-Free Mince Pies with the most delicious Easy Mincemeat this time round. 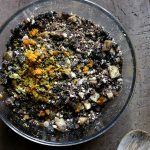 If you fancy being a little bit daring with your mince pies then have a look at my Victorian Mincemeat which is inspired by traditional mince pies and uses actual beef mince along with the dried fruit, spices and brandy. That mincemeat is something special. You can’t taste that it is actually meat, it is just ultra flavourful with a wonderfully luxurious texture. If you want to go in the other direction entirely then my nut-free and vegetarian Cranberry Cointreau Mincemeat is glorious and is a family favourite. So vibrant, light and still incredibly festive. Your mince pies, your choice. If you need a Gluten-Free Mince Pie recipe then you must give these a go, they are simply wonderful, and if you do then please leave a comment below and/or give the recipe a rating. If you use this recipe as a jumping off point for your own mince pies then I’d also love it if you’d share your version and tag me on instagram. It is so lovely for me to see your creations and variations of my recipes. In a large mixing bowl whisk together the sweet rice flour, sorghum flour, almond flour and chia seeds. Slice the butter very thinly and add to the flour. Then rub the mixture between fingertips until roughly shorn and crumbly. Whisk in the caster sugar and then pour in the eggs. Bring the dough together using a wooden spoon at first if you like and then your hands. If the dough is still too dry and crumbly then add a little extra whole milk. Turn the pastry out on to the work surface and knead very briefly into a ball until the dough is cohesive and slightly sticky. Wrap the pastry dough in cling film and place in the fridge for at least 30 minutes (or up to 3 days) until you are ready to make your mince pies. To make the mince pies, dust your work top and your rolling pin with extra sweet rice flour then roll your pastry out to 3mm thickness. The pastry will be quite fragile. I usually split the dough in half and roll out half at a time to save a lot of re-rolling. Cut your pastry using an 8cm pastry cutter and place each round carefully in the hole of a 12 hole muffin tin. The pastry will come up about halfway. Fill each mince pie with a heaped teaspoon of mincemeat. If you want double crusted mince pies then cut out further 6cm rounds for the lid and tuck on top so the edges of the pastry all meet. If you would like to decorate the top of the mince pies then cut out extra Christmassy shapes from the pastry and place on top. Whisk the extra egg yolk and milk to make a wash then brush over the top of each mince pie. Place in the oven and bake the mince pies for 10 minutes until they are golden. Leave in the tin for 5 minutes to rest then carefully remove each mince pie from the tin with a palette knife and place on a wire rack to cool. Wash and dry the tin then make your next batch. Store the mince pies in a metal tin. They keep quite well for up to 5 days but they are best on the day they are made. for cutting out my mince pies, scones, biscuits. Anything really. These are basic and great. Plus they can go in the dishwasher. and absolutely love it. It goes in the dishwasher and is so easy to clean plus doesn’t clump together like some bristle pastry brushes do. I also use it for basting my turkey and lots of other christmassy and baking jobs. Infact you might need more than one.
. They may only come out once a year but they make any kitchen super festive. This Easy Mincemeat Recipe is exactly what you need when you are required to make homemade mince pies pronto. No resting time is needed, it’s a quick assembly job and the result is a supremely spiced fruity boozy mincemeat. I simply adore mincemeat. In my humble opinion it’s the best thing about Christmas. Along with The Waitresses’ Christmas Wrapping, Hot Buttered Chocolate Rum and festive jumpers for Billy Buddy. Stir-up Sunday is coming up this weekend which is the traditional day to make your mincemeat (and Christmas pudding) for the season. It’s nice to get this job out of the way in November as it means you can have homemade mince pies at your disposal any time during the holiday period. Although if you are only using your mincemeat for a mince pie filling then you are missing a trick. A few centuries ago mincemeat was a way to preserve meat, usually mutton, without smoking or salting. The meat would be chopped very finely, aka minced, then preserved with spirits and spices and sugar. It’s more usual these days for the minced meat to be replaced with beef suet and dried fruit. 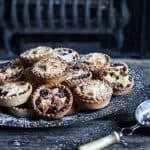 Although if you haven’t tried mince pies made in the traditional method using this Victorian Mincemeat recipe then you really need to address your life choices. Why do we eat mincemeat at Christmas? 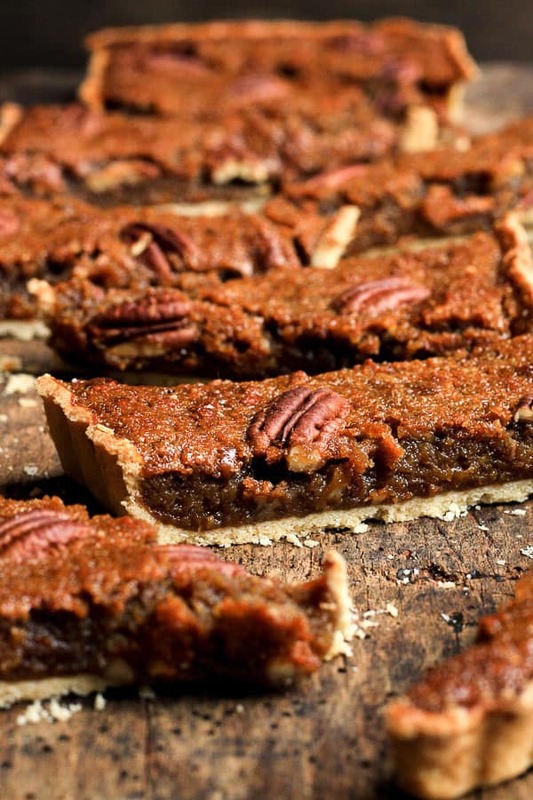 The reason we eat so many mince pies over the festive season is all to do with the spices. It is thought that cinnamon, cloves and nutmeg were given by the magi to the baby Jesus and so mincemeat, which is abundant in these spices, has always traditionally been associated with Christmas. And I totally take umbrage with the idea that if mince pies were so nice then why do we only eat them at Christmas. Well, that’s why Eccles Cakes were invented. They are basically mince pies that we are allowed to eat all year round. Why do you use beef suet in mincemeat? Beef suet is the hard fat from around the joints and kidneys of the animal and it is favoured in mincemeat due to its richness of flavour and the silky way it coats the luscious fruit. However, it’s impossible to find gluten-free suet in most supermarkets. If your butcher is able to source fresh beef suet for you then that is the best choice. 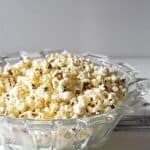 It will probably be provided in a hard block which you will need to grate with a bit of gluten-free flour to create little fat pellets which helps to evenly disperse the fat. Weigh the pellets out and then add to the mincemeat. The rest can be kept in the freezer or used in your Christmas Pudding. 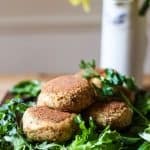 If you are finding it hard to source fresh beef suet or need a veggie or vegan alternative then you can substitute with grated coconut butter. This Easy Mincemeat is a back to basics recipe. I made the unfortunate mistake of buying pre-made mincemeat for some recipe testing a couple of weeks ago and the difference between homemade and shop bought is extreme. The shop bought stuff is all sugar and no flavour. No wonder mincemeat has got such a bad reputation. If you are time strapped but need some homemade mince pies asap then this Easy Mincemeat Recipe is the way to go. There’s no resting time required and it’s not necessary to cook the mincemeat out before filling your pies. Although if you are not using the mincemeat immediately then you should cook it out before storing. The suet and sugar will melt and coat and preserve all the fruit evenly and also stops the apples from fermenting. 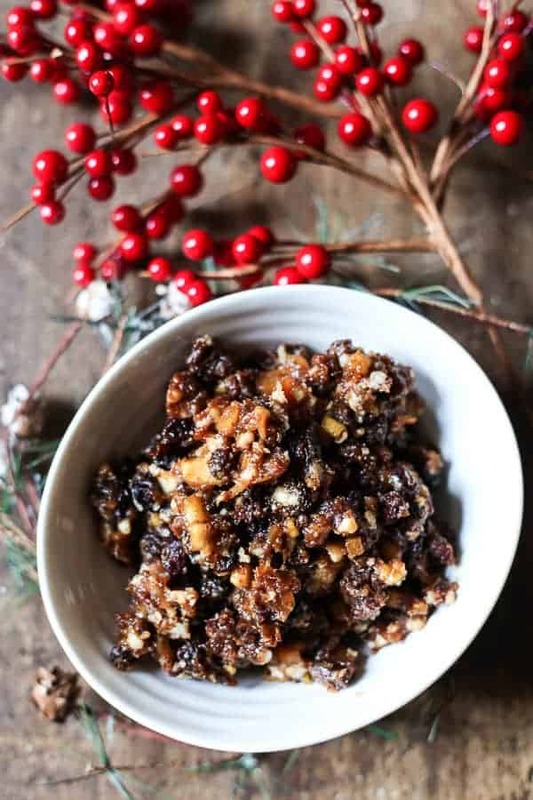 If you are in the mood for planning ahead this Stir Up Sunday then I would recommend that you make the mincemeat ahead of time which will allow the flavours to mature. However, if it’s a choice between homemade mincemeat made twenty minutes ago or using supermarket mincemeat then homemade wins hands down every time, maturation be damned. Plus if you’re making it yourself you can pimp it exactly to your preference or ingredients you have to hand. Basically what I’m saying is that there’s no excuse to buy it in. What can I substitute for the brandy? You can substitute absolutely any alcohol for the brandy. Rum, Pedro Ximénez, Cointreau or even Amaretto are my favourites. What if I don’t like mixed peel? If you don’t like mixed peel then just leave it out, or substitute for a couple of tablespoons of marmalade. However, have you ever tried making your own? Homemade Mixed Peel has a vastly superior flavour and can be useful for a lot of your Christmas bakes. Can I substitute in other dried fruit? Of course! Anything goes in mincemeat. Chopped dried figs, prunes, cranberries, sour cherries. You can just swap in the same weight of an alternative dried fruit and away you go. 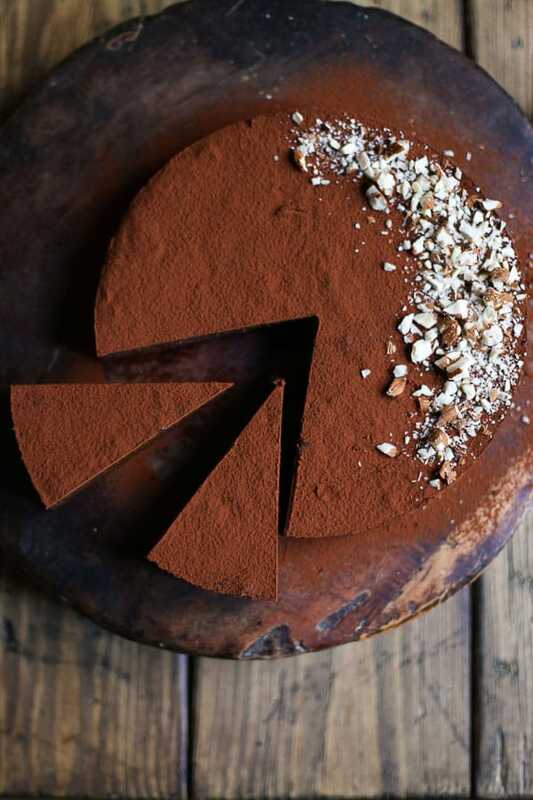 Dark muscovado sugar is used here for its rich treacly flavour. However, if you want a slightly lighter mincemeat then you can use light muscovado sugar. Or if you only have in soft light brown sugar then use that. If you’ve never made your own then I urge you to give this Easy Mincemeat Recipe a try and if you do then please leave a comment below and/or give the recipe a rating. If you use this recipe as a jumping off point then I’d also love it if you’d share your version and tag me on instagram. It is so lovely for me to see your creations and variations of my recipes. This Easy Mincemeat Recipe is a quick homemade supremely spiced fruity boozy mincemeat essential for mince pies. Peel, core and dice the bramley apples into small pieces. Place the apple pieces into a large ovenproof pot with the rest of the ingredients (except for the brandy) and stir together until everything is well combined. If you want to make mince pies straight away then set aside about 300g and stir in a couple of teaspoons of the brandy. Let the mincemeat rest whilst you prepare the pastry and then you can fill your pies immediately. To prepare the rest of the mincemeat for storing put a lid on the pot and place in an oven pre-heated to 150°C /130°C fan/gas 2 for 1 hour. Leave the mincemeat to completely cool before stirring in the brandy. Decant the mincemeat into sterilised jars and store in a cool dark place for up to a year. *It’s just not possible to buy gluten-free pre-packaged suet so do speak to your local butcher about obtaining fresh suet. It will come in a solid block which you will need to grate with a bit of gluten-free flour so that it can evenly disperse throughout the mincemeat. If you are vegan then I would recommend replacing with grated coconut butter but if you are not then I would urge you not to make the switch.